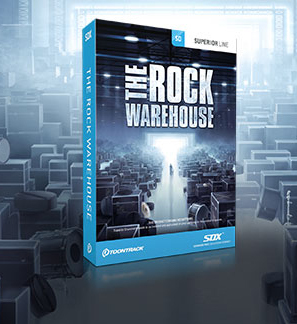 The Rock Warehouse SDX, Virtual Drum/Percussion from Toontrack in the Superior Drummer series. The Metal Month continues at Toontrack’s with the new Rock Warehouse SDX drum library and its MIDI bank. To produce The Rock Warehouse SDX, Toontrack called Randy Staub and ex-Nickelback drummer Ryan Vikedal to record three complete kits, two kicks and 5 additional snare as well as a large collection of cymbals, for use in Superior Drummer. Sampled drum kits include an Ayotte Custom, a Gretsch USA Custom and a Dunnett Titanium. They are completed with two 22" x 18" Ayotte Custom maple (two tunings) and 20" x 14" 1960’s Ludwig kicks, and a choice of low-tuned 14" x 5" Gretsch USA Custom, 14" x 5" Jeff Ocheltree Spirit 2002, 14" x 8" Ludwig Black Beauty and 13" x 4" Ayotte Custom Maple snares. Cymbals are Zildjian, with three available sets as well as an additional 12" K Splash. The drums were recorded on a Neve AIR console, a rare custom model designed by Neve for the AIR Studios. In total, the library features 20GB of content, including a MIDI library that can also be purchased separately for 25€. 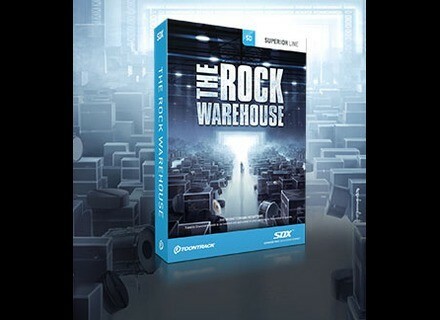 The Rock Warehouse SDX collection retails for 159€ and you can listen to audio demos at www.toontrack.com. Drumatic 4 in Beta VST on Mac OS X Following the announcement of version 4 on PC, E-Phonic now launches its Drumatic drum synth on Mac OS X. The Akai MPC software updated to v1.5 Akai updated its MPC software to version 1.5, which can now be used in standalone mode without the hardware. Last days for the iZotope Iris special offer iZotope gives you a few more hours to get Iris with a -30% discount and download the Iris Cookbook for free.